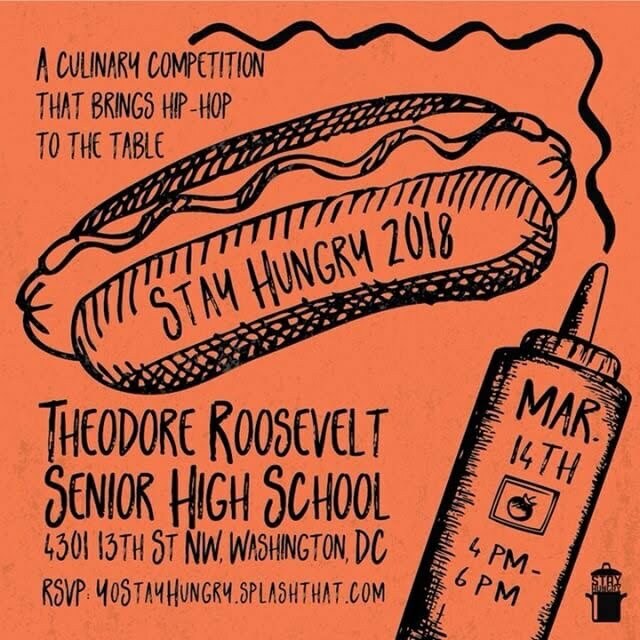 Stay Hungry presents it’s Culinary Competition Live In DC on Mar 14st, 2018 from 4-6pm. This event is free and open to the public. RSVP is a MUST to attend! RSVP yostayhungry.splashthat.com #YoStayHungry. Stay Hungry is a culinary experience, that fuses a connection between food, beverage, and hip-hop. One way that we do that is by having a culinary competition in which we partner high school students with coach chefs to make dishes inspired by hip-hop lyrics.